If you’ve seen a professor traveling around campus with his guitar in tow, then you’ve seen Dave Smith, an MBU math professor who exemplifies servant leadership and a heart of true worship on and off campus. 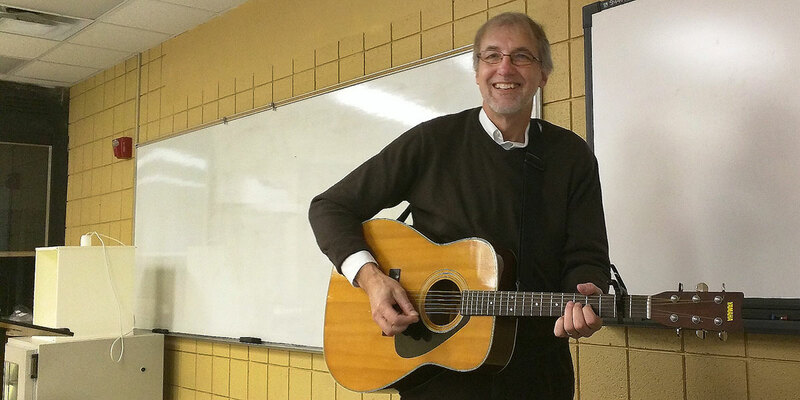 Professor Dave Smith smiles and plays the guitar with joy, playing for his students to brighten up their Monday morning. A softspoken Renaissance Man, Smith also enjoys running marathons. He runs over 2,000 miles each year. And he’s won the highest faculty award at MBU.